Fast acting formula for cleaning and renovating tiles, worktops, fireplace surrounds and grouting. Deep cleans surfaces to remove dirt, grease, soot and and old layers of wax and sealer. For use on all types of polished and unpolished stone, granite, slate, terracotta, quarry, ceramic, porcelain tiles, concrete and grouting. Suitable for renovating existing surfaces and conditioning new surfaces prior to sealing. 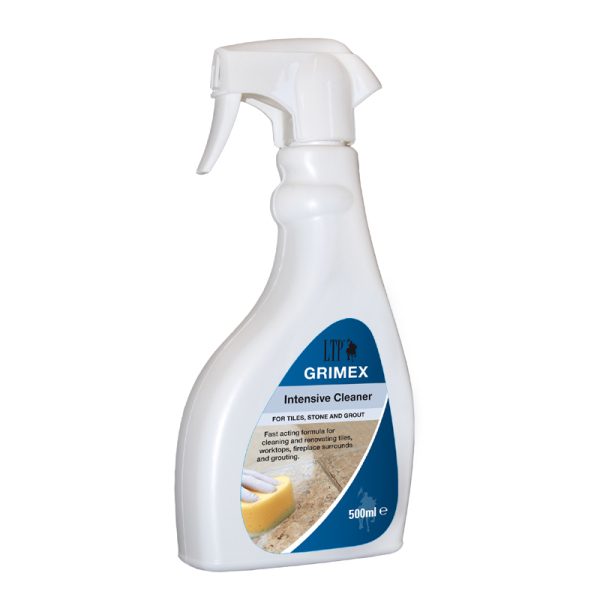 LTP Grimex is effective at removing the seal from natural stone surfaces. After using LTP Grimex you may wish to re seal or enhance your surface using an appropriate sealing product. Maintaining your sealed surface with the correct maintenance product will extend the life of the seal and offer additional protection.